Stem cell genomics analyzes the genomes of stem cells. 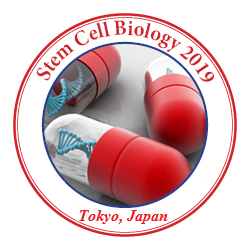 The study of stem cell genomics has wide reaching implications in the study of stem cell biology and possible therapeutic usages of stem cells. Application of research in this field could lead to drug discovery and information on diseases by the molecular characterization of the pluripotent stem cell through DNA and transcriptome sequencing and looking at the epigenetic changes of stem cells and subsequent products. One step in that process is single cell phenotypic analysis, and the connection between the phenotype and genotype of specific stem cells.